The biggest successfull sale of the Greek Marble Initiative is this of the world renowned Serbian sculptor Giorgie Cpajak, accomplished on 2014. Myro Antiques House got hold of a blue-chip level comprehensive collection of the famous sculptor including 62 masterpieces covering a period of 20 years of creation. The collection was acquired altogether by a foreign collector with the mediation of the House. 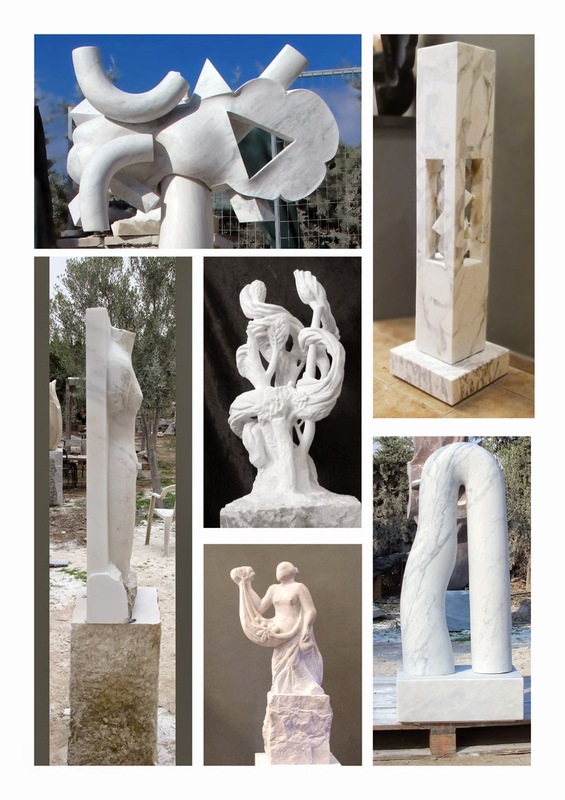 You can see all the pieces it consists of HERE, along with several other pieces Mr. Cpajak has delivered through the Greek Marble Initiative. Giorgie Cpajak’s floating forms carry the dramatic content of a dream into his semi-abstact and often symbolic works, especially in his monumental series, ranging from 2 to 4 m. height. His style is semi-abstract and symbolic even in smaller pieces, though some of them utilize the human form in reinforcing the sense that reality is relative. He says that he wants his works to display both the nature of the medium and the nature of what he depicts. During his many residencies in different countries, Giorgie Cpajak is also be contributing to the educational program and working with other artists from whole the world spreading the spirit of community between artistic world; something everyone worked, of even passed by the premises of the Greek Marble Initiative’s summer Symposium became a cognizant. During his long stay with us, the organizers, the other sculptors, even the technicians working in the premises gained by his experience and his sharp mind. I trust that his humility and the sense of endless inspiration will always be the astonishing part of discussing with him; although he has got some of the greatest awards worldwide, he wouldn’t discuss it unless a direct question is set to be answered! Among others you have read through in the section “Awards, Acquisitions, Collections” he has won concourse for celebrating beginning of Third millennium in France between 300 artists from all over the world, a sculpture of his is adorns the entrance of the main stadium where the “Beijing 2008” (Olympic Games of China) took place! However, what remains unrivalled is his introspection: “Stone is the fundamental material in the formation of the Universe -it has always challenged sculptors. The starting point of my inspiration is based on nature and environment. We make the environment, which in turn remakes us,” he says. Giorgie Cpajak was born in 1961 in Prijepolje, in Serbia and studied in the School of Design and Arts in Split, Croatia (former Yugoslavia) while he continued his postgraduate studies in Fine Arts of University of Belgrade. Since 1990 he has been teaching modern sculpture as a visiting professor in the Academy of Fine Arts in Stockholm, Sweden. Since 1989 he lives permanently in Pietrasanta, Italy, but the last few years he shares his time yearly among Italy, Serbia and Thessaloniki/Greece, due to the ties he built through Greek Marble Initiative with Greece.